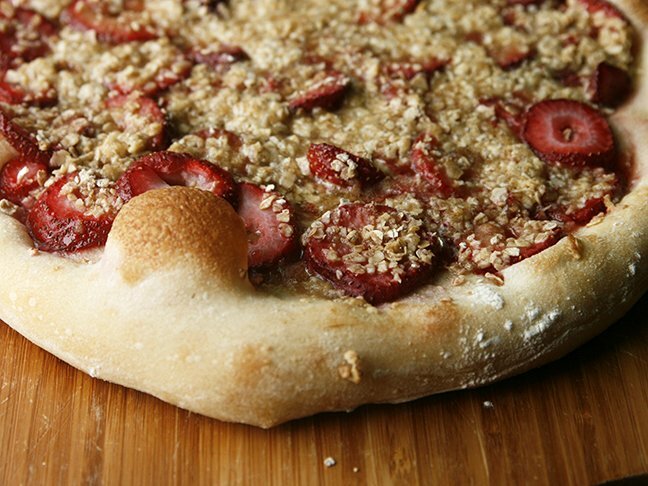 Right now my family is loving this Strawberry Streusel Dessert Pizza, which is a delicious way to enjoy end-of-summer berries. 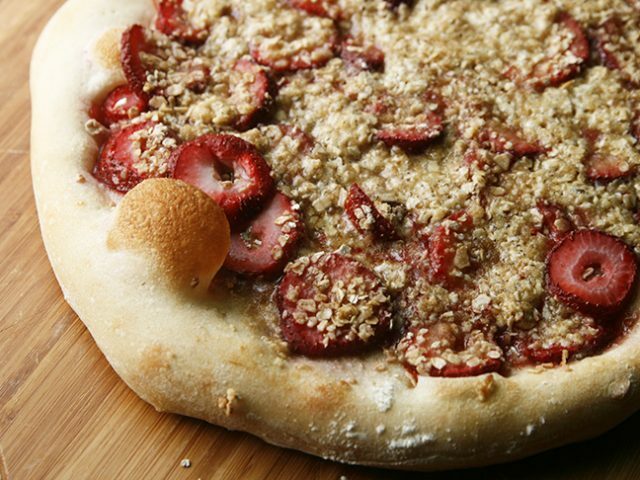 It’s easy to make and perfect for sharing with a crowd. Score one for mom, right? 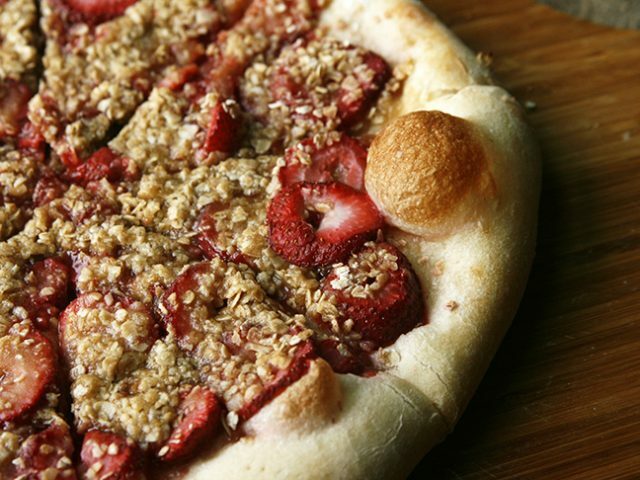 For this treat, pizza dough is stretched into a round circle and then topped with fresh strawberries and a buttery brown sugar and oat topping. 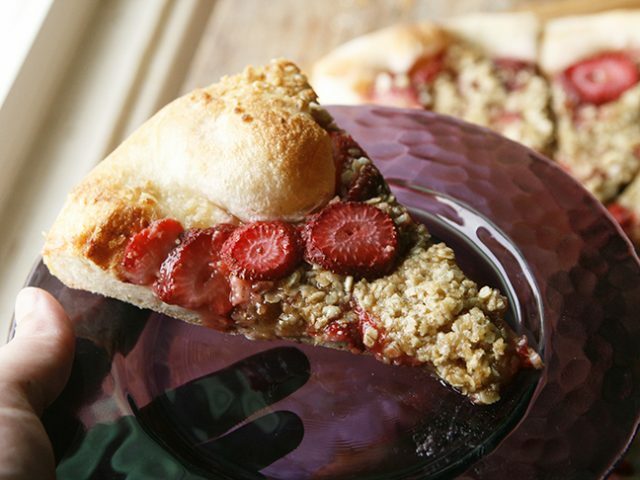 Then it’s baked to sweet, doughy, buttery, fruity perfection. Step 1: Preheat oven to 400 degrees Fahrenheit with a pizza stone in the oven. 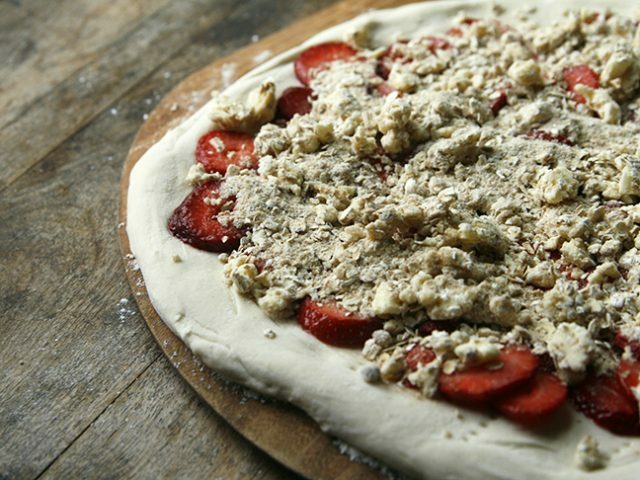 Step 2: Stretch the pizza dough into a large circle. Prick all over with a fork. 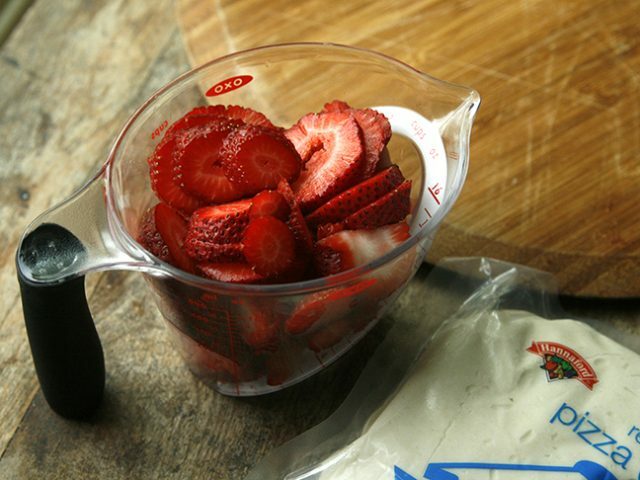 Step 3: In a mixing bowl, stir together the strawberries, sugar, and cornstarch. Spread all over the pizza. Step 4: In another mixing bowl, stir together the brown sugar, oats, and flour. Using two knives or a pastry cutter, cut the butter into the mixture until coarse crumbs form. Sprinkle over the pizza. Step 5: Slide the pizza into the oven, onto the pizza stone. Cook for 12-15 minutes until golden. Remove from the oven and let cool for 5 minutes before slicing.